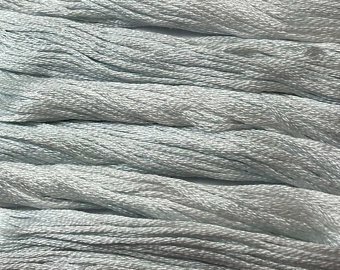 Both Sampler threads and Simply Shaker are mixed and listed alphabetically. 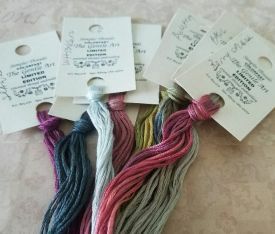 I also have the most popular Gentle Art Sampler threads in 10 yards version as well. 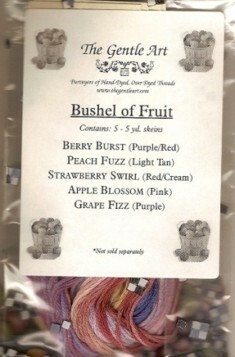 2013 Nashville limited bag, 5 limited edition. 2014 Nashville Limited Bag. 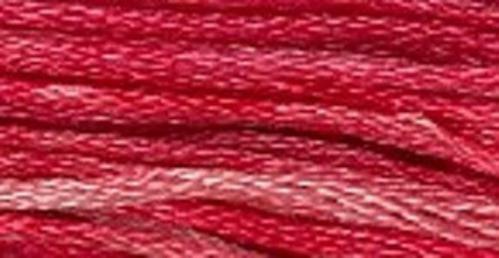 Thread are Chai Tea, Spiced Orange Tea, Wild Honey Tea, Carmel Toffee Tea and Lavender Tea. 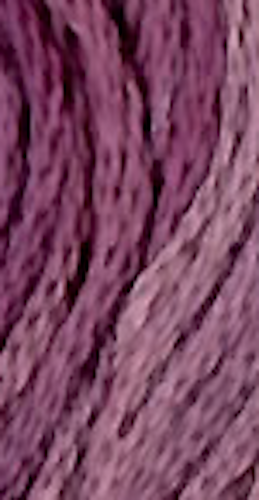 2014 St Charles new colors are Brown Bear, Dragonfly, Cast Iron Skillet; limited colors are Blackberry and Frosted Grape. 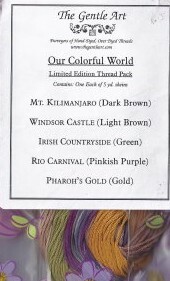 5 colors are Ruby Slipper, Green Tea Leaf, Verdigris, Hot Tamale, and Golden Rod. 2015 (3) Limited colors are Iowa Eggplant Casserole, Kansas Bacon Cheddar Chive Scones, and Illininois Chocolate Z Bread. 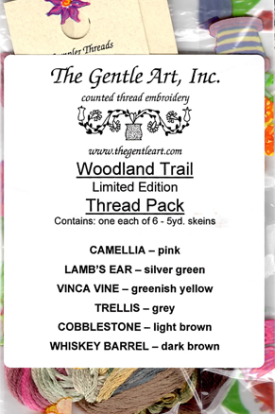 2016 Gentle Arts Limited Colors, 8 skeins are Basil, Raspberry Truffle, Berry Splash, Cabarnet, Bull Frog, Pea Soup, Sea Weed and Whiskers. 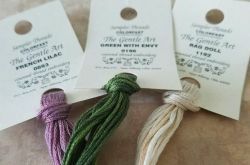 2-16 3 new colors, Green with Envy, Rag Doll and French Lilac. 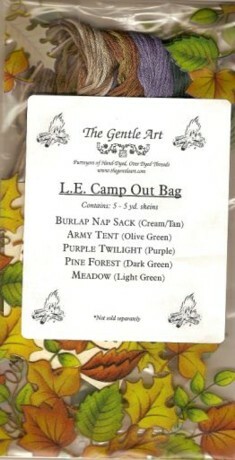 5 limited gentle art sampler threads purple Twilight, Army Tent, Pine Forest, Meadow and Burlap Nap Sack.